The Helen Oppenheim Hair Fashion Photo Archives hope to inspire you, to view hair fashion history, as you’ve never seen it before. The archives include photos I have taken backstage at New York Fashion Weeks for over a decade, featuring the world’s top hairdressers creating for New York’s fashion designers who didn’t insist on a ponytail or a boring bun. Many collections include how to get the look in easy steps; others feature the best of the best hair ideas, by the best. The archives are not only about bold face names, famous fashion designers or celebs, although there are plenty of all of them. They are about ideas to inspire anyone interested in style or hair history, the media, tv/film/theatre researchers and, of course, the hair and fashion worlds. There is text under all of the photos of all albums, usually different text, sometimes but not often the same text and some photo and text treasures are at the end of an album, also a few videos. This is not a website to skim through fast. Take your time. These are Archives, not just about the hair but also about makeup, fashion, accessories and photography. 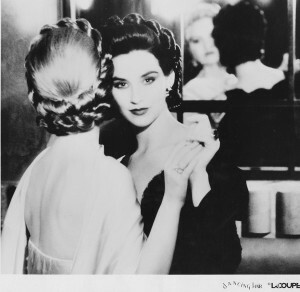 The photo campaigns, much-copied and internationally-famous at the time, include photos I art directed, produced, conceptualized (both the hair and photography in many), then marketed and cross-marketed during my years as in-house Creative Concept and Public Relations Director Vidal Sassoon Salons USA/Canada, and La Coupe USA/Canada, working with some of the most innovative hairstylists ever, from New York and, before that, from Toronto and Montreal, the latter a very hair aware city at the time. The hairdressers, photographers, makeup artists and I gave our guts to produce these photos, the world recognized the talent then, and we hope you will now. We always tried to innovate, not copy, and spent night after night perfecting ideas and for the hairstyles to work on more than just a few. Most of the La Coupe hair from the 60s and 70s was considered avant-garde when first released, now I am proud to say most don’t seem that way at all, and have stood the test of time – some have cult status, with subtleties in the narratives recognized by more and more people. It is our intention to give credit where credit is due. We have made every attempt to do so. We have presented the photos, some over 40 years old, as meticulously as is possible. Upon request, we offer to have any inaccuracies corrected and add any necessary information. Fabulous website Helen! Been browsing for about an hour, bookmarking it to come back and read more. Keep up the great work! I’m going to recommend to my salon staff and wherever i educate so other industry people can get to know our industry better! Thanks so much, Jake, love you are bookmarking the site that much and will recommend to your staff. Ah, I am so happy to have found Antonio da Costa Rocha’s family and you have seen his great work on my website. He was a very special man and talent. Thank you for the thank you. I am Antonio de Costa Rocha’s godson and nephew. I was very pleased to come across this site. I was trully bleessed to have him as my godfather and uncle. This site has brought back my great memories of him and i wanted to thank you for that. Anthea. How good to hear from you, and thank you so much for your supportive and wonderful words. Made my day. Gerard – Coming from the Managing Director of Vidal Sassoon in London way back when, even before my time, I am very honored with such a great accolade and thank you very much. Helen. Great is an understatement. At long last a most exciting web site through which you will excite us with your valued insight into the wonderful world of crimping, hairdressing, cutting, styling, et al. Then there are the players past, present, and those to keep an eye on in the future. I know with your style and knowledge this will be the go to site. Of course I wish you the greatest success and you know I will be paying frequent visits. Thank you, Wendy…your work is great too. Let’s stay in touch. I like very much your blog.Very interesting reading.Hope one day our paths will cross.